If you would like to become part of our organization, click "JOIN" at the top of this page to go to the membership registration form. Once you are a member, you will have the ability to sign in to the secure, members only side of the website. There, you will find a calendar of events, our membership directory, and field trip sign ups. 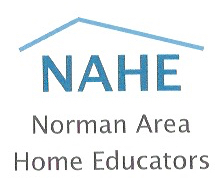 General NAHE information, and a plethora of local homeschooling resources are also available in our NAHE Members Handbook. enrichment opportunities, and supports our local homeschool community. membership oriented, rather than leadership driven. families, churches, and our local community. A Christian perspective and environment are generally assumed but not required for participation. As a Christian organization, NAHE Leadership Council couples assent to a statement of faith, which may be found online at the NAHE website and is included in the Members Handbook.